by many different spiritual paths. The Egyptians use them as a symbol of royalty. 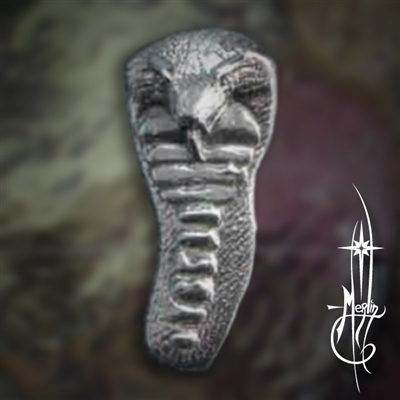 The Greeks referred to the Cobra as “ the Little King” or Basilisk. Snakes may be found in the Caduceus of medicine. as it swallows it’s own tail. spiritual energy awakened and harnessed. it’s body disappears beyond sight. so too this image shows a snake “without a tail”. and ready to strike if needs be.